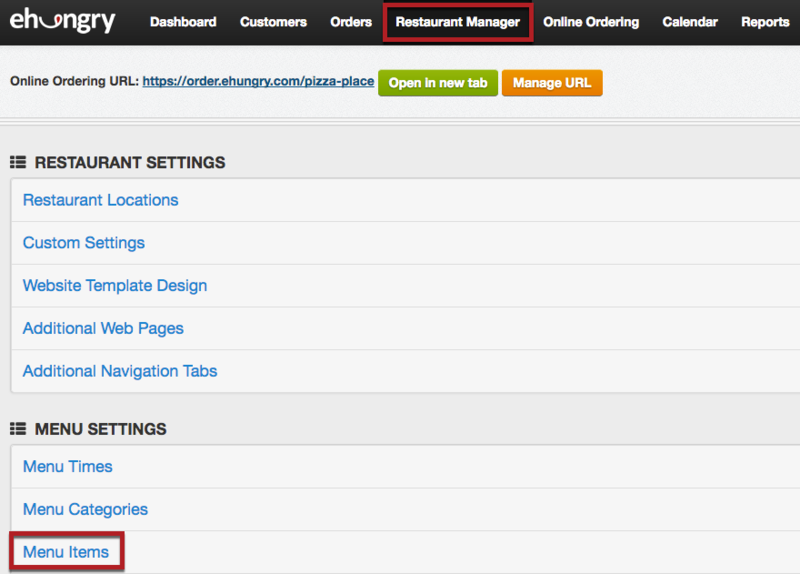 In your Online Ordering Console, you can add an image to a menu item by selecting "Restaurant Manager" from the main menu, and then selecting "Menu Items" under the "MENU SETTINGS" heading. Choose the item you want to add a photo to and click the Notepad/pencil Icon. Scroll to the bottom of the page where it says "Image of this Menu Item", choose your image to upload. The image should be 600 pixels or less on either side for faster downloading. Large images will cause your pages to load very slowly for your customers.